Bonjour mes belles!! In today's post, I'm covering one of my favorite makeup mediums and one of most ancient types of cosmetics, the Eye Liner. In my time of blogging, I've gotten tons of questions about different kinds of liners, how to use them and which looks suit each one best. Today, I'm addressing all the FAQ's, narrowing the topic down to four most commonly used liners and giving you four individual looks to try with each one. In this post, I'm wearing all Lancome liners as the brand exemplifies superior liners in each of the four categories. #1: Liquid Liner is an opaque liquid liner that comes in a tube and is applied with a felt tip (marker type) or brush applicator. The liquid liner creates a sharp, precise line in a semi-gloss or matte finish and is most commonly used to define the top lash line. "Clean, Everyday Cat Eye" with Lancome Artliner in Noir. This felt-tip liner is perfect for any look and is especially fitting for everyday wear due to its foolproof formula and effortless application, providing rich color and lasting precision. Wear this liner alone or over eyeshadow to define the top lash line and add contrast to your makeup look. #2: Khol Liner is soft, powdery liner that often comes in pencil form. This type of liner can be easily smudged to create a softer look. "Smudged, Sultry Cat Eye" with Lancome Le Crayon Khol in Black Ebony. This classic pencil liner is versatile and can be used for lining, contouring and smoking out any eye makeup look. Line the outer corner of the eye and smudge out the wing to create a modern, smokey cat eye. Rim the entire eye and wear alone (as shown above) or use it on the lower lash line with any makeup look to enhance and enlarge the eye shape. #3: Waterproof Liner is a solid liner that often comes in a retractable pencil. This product can be used on the waterline of the eye, as well as the lash lines and sets to withstand water. "Smoldering, Smokey Liner" with Lancome Le Stylo Waterproof in Noir. This waterproof liner was made to withstand creasing, sweat and happy tears. Tightline the entire waterline and line both lash lines, then use the sponge tip to smudge and smoke out the product onto the lids. This liner sets quickly but has some play room to create the perfect smokey smoldering look for a night out. Add false lashes to your smoldering liner look and you have a complete smokey eye without having to use any shadows. 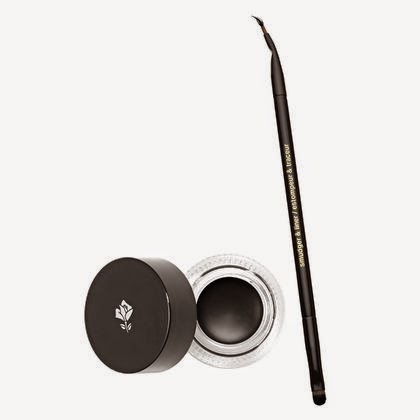 #4: Gel Liner is a super soft and creamy liner that comes in a jar and is applied with a brush. 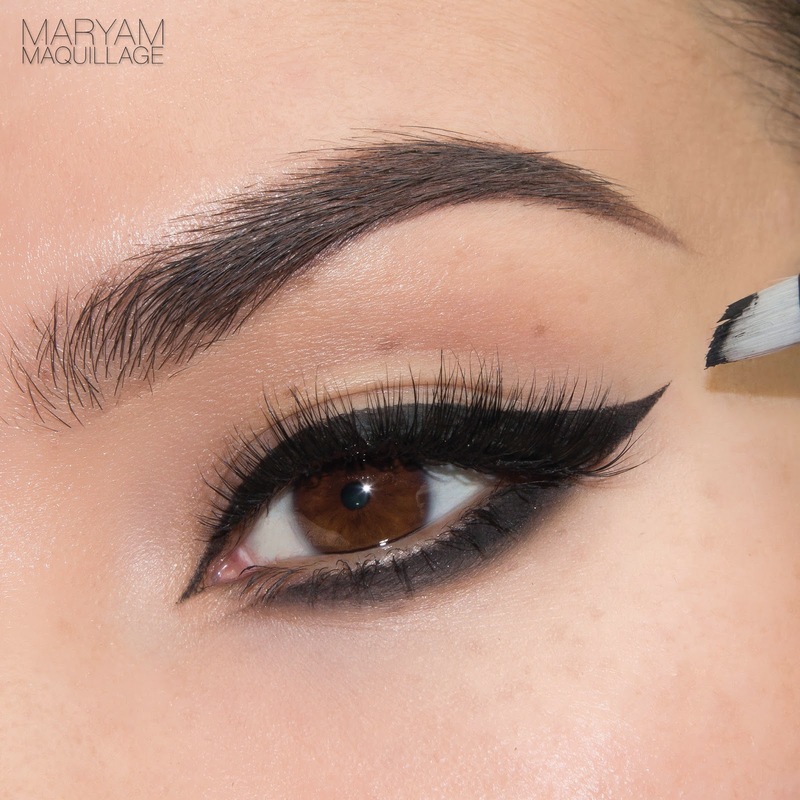 This liner can create a precise look or can be smudged before it dries. "Precise, Creative Liner" with Lancome Color Design Gel Liner in Black Fishnets. This gel liner is suitable for any makeup look and can be implemented in any technique. Use this liner to create the most precise wings, waterproof the lash lines or smudge them out -- it's versatile and allows for plenty of creativity, that is, if you're handy with a liner brush. 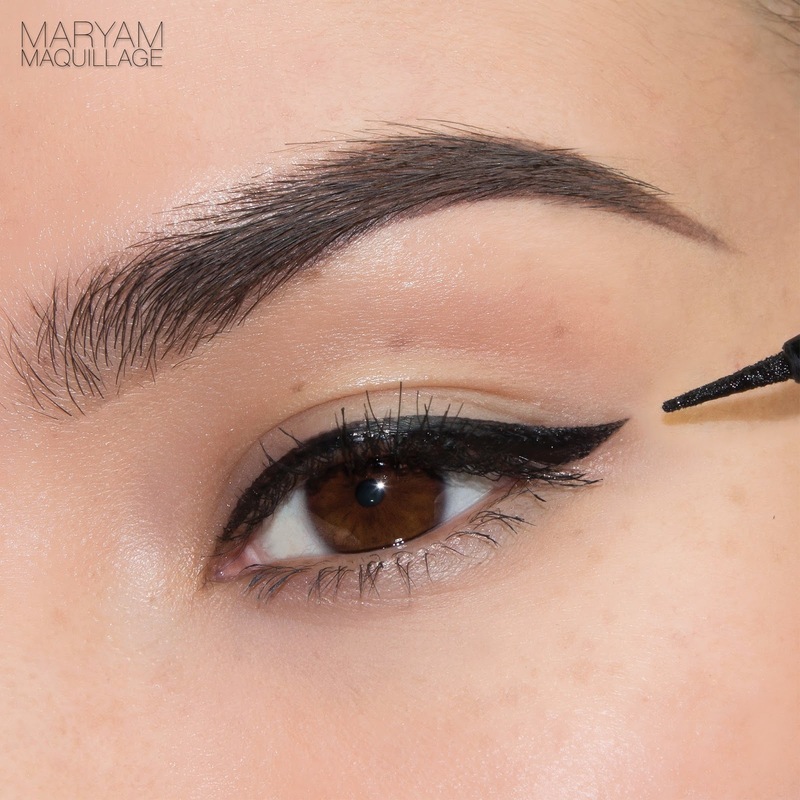 Line the top lash line with a liner brush and extend both wings. Next, line the bottom lash line and smudge down with brown shadow to create a smokey effect. Reapply the gel liner to the bottom lash line keeping close to the lash line to redefine the sharp edge. Would love some tips on how you create your perfect wings/ flicks. I'm 36 and have slightly hooded lids...seems these days when I line with my eyes closed, the line looks good but then I open my eyes and it's wonky :( Didn't think THAT would happen until I was older!